Search engine optimization continues to become more multi-faceted and complex with each passing year. A variety of strategies and tactics can be used to rank content in one set of search results or another, and many different entities prioritize a variety of efforts in different ways. One trend in search as of late is the prevalence of video results in search, which are becoming increasingly common. Despite this, competition is still relatively weak in many SERPs, which presents many opportunities for those who know how to take advantage of them. YouTube is by far the best video service to use for SEO: we’ll talk today about what particular elements of each video upload matter for boosting them in search. One of the most important elements for your YouTube channel in terms of ranking videos as high as possible is the use of proper keywords and tags. 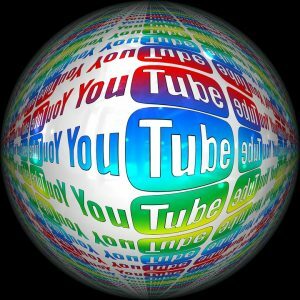 You’ll notice that your YouTube channel can be given keywords of its own: it is here that you’ll best summarize what your channel is offering to the masses. We recommend that you use a keyword planning tool when building keywords for your YouTube channel if you are starting with scratch, but they can also be helpful even when you already have an online presence with dedicated keyword targets. The more metadata in general you provide to Google and other search engines through these efforts, the more you’ll be pinging links in the top results. If you have already been producing various forms of content, such as blog pieces and articles, then you know how important the title of each piece and page can be to driving traffic. With YouTube videos, it is no different. Careful consideration of various elements in each video title – action verbs, relevant keywords and the length of your title – all factor into how many clicks and what position your video will enjoy in search results. The most optimized videos will not only appear in search results on Google and other search engines, but they’ll appear in non-video search results as well. Additionally, descriptions for each video should take advantage of many of the same elements: carefully utilize keywords and provide easily understandable explanations of the video. Before you start pinging links to your videos in search, you definitely want to consider the overall quality of your videos. This pertains both to the production value and the resolution of each video uploaded. Why does this matter? For starters, video quality affects user experience. The more production value there is to your video, the more aesthetic appeal it will have with those who find it. This creates a feedback loop in which more people click and share, and that gets the attention of search engines and will result in even higher rankings. Likewise, search engines also consider the overall resolution of the video in their ranking algorithms: a 480p video isn’t likely to rank as highly as a 1080p video when there is ample competition in the niche and all other things are equal. What other factors in video production do you think matter – both to UE and to search rankings? Let us know your thoughts below and help the community improve their video game.